Something is rotten in the state of Denmark! There really is, and it’s been underway for quite a while. 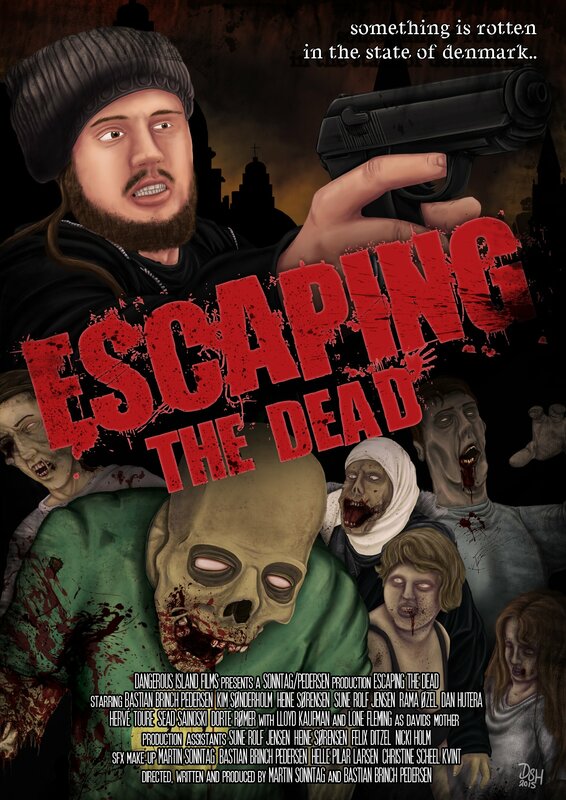 Danish zombie flick “Escaping The Dead”, is inspired by the face eating incident in Florida a few years back! The official trailer is here and the film is headed out to festivals, already having its first screenings in late August at Action on Film International Film Festival in Las Vegas! “Escaping The Dead” was written, produced and directed by Martin Sonntag and Bastian Brinch Pedersen, while starring Bastian Brinch Pedersen as David, Lloyd Kaufman, Lone Fleming (from the classic Italian ‘Blind Dead’ films and many more), Kim Sønderholm (‘Vidar The Vampire’, ‘Your Flesh Your Curse’, ‘Reyes’), Heine Sørensen, Sune Rolf Jensen, Sead Sainoski, Dorte Rømer, over 150 zombie actors and many, many more! “Escaping The Dead” has been a 5 year long endavour, inspired by a series of articles about the deathdrug “Krokodil” that was published about the same period of time when Ronald Poppo had his face eaten by a naked man hooked on bathsalt in Miami. It is the perfect zombie plot: a deathdrug that turns people into zombies. The film has its starting point in a typical day for the lead character, David. David is the local marihuana pusher, but he is the kind of dealer that smokes more than he sells. The country has been hit by a new deathdrug and when David and his partner in crime, Ahmir, is offered some exceptionally cheap cocaine they see it as an opportunity to earn big money at a big techno concert the following Friday. The cocaine turns out to have a terrible side effect that creates a giant zombie outbreak that spreads across the entire Copenhagen. 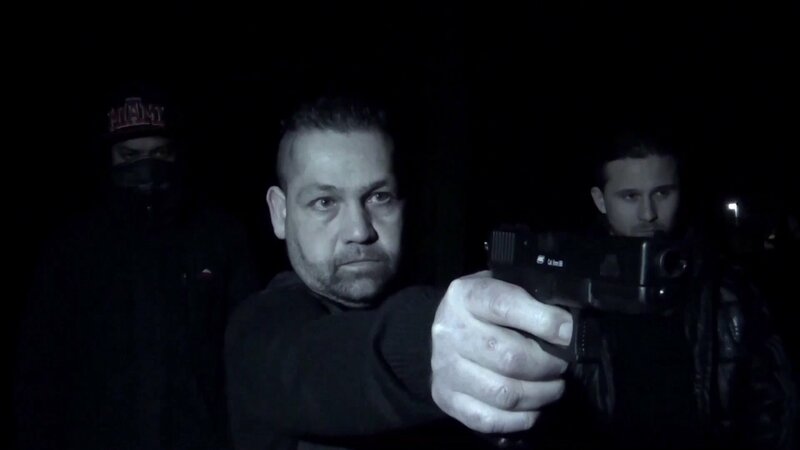 In the film we follow David and his bloody fight out of the city. Check out the trailer and make sure to catch the film, either on one of many coming festival screenings or whenever it hits home release!